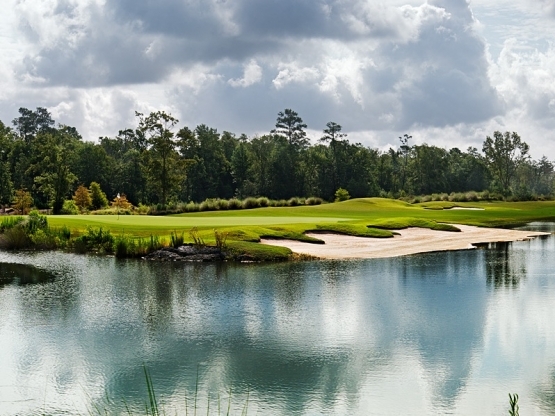 Cape Fear National is one of the newest courses in the Carolinas and is just an easy 45-minute drive from Myrtle Beach. It is located in Brunswick Forest, which is one of the Coastal South’s fastest growing communities. Cape Fear National ranked #11 in the “Best Places you can play in North Carolina” by Golfweek Magazine. Renowned golf course architect, Tim Cate, incorporated a Scottish style design on these beautiful 18 holes. Cate is known for his strategic designs and he did a wonderful job using the natural setting that includes water and extensive bunkering. The course will offer a challenge to expert players and novice golfers can use one of the several teeing areas to find the perfect fit for them to ensure their round at Cape Fear National will be a memorable one.